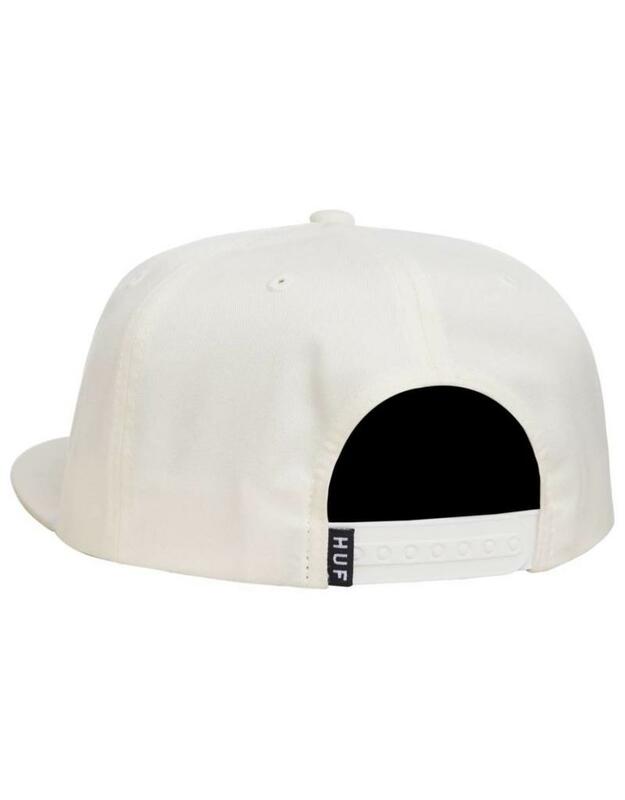 The Network snapback hat is available in light blue and off-white. 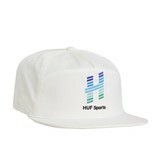 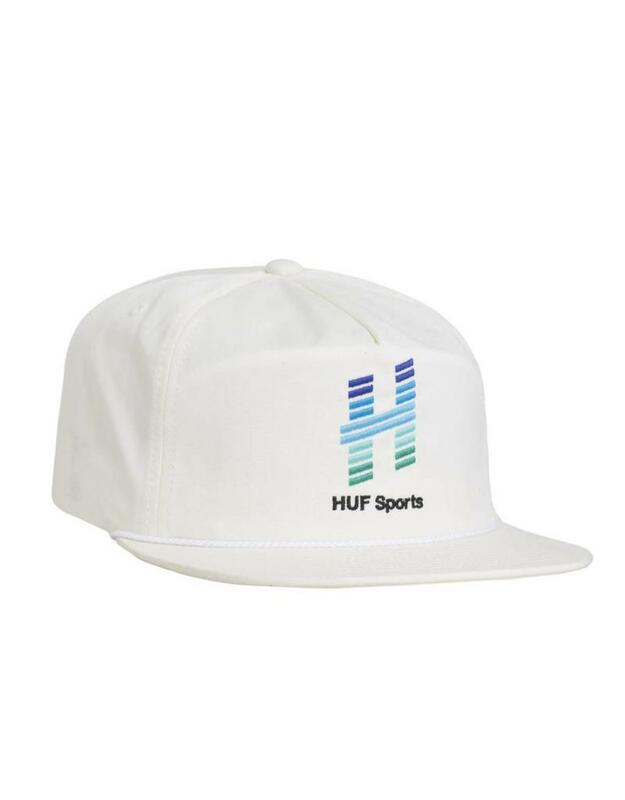 Details include an embroidered HUF sports logo at front crown, rope detail at crown, and HUF woven label at back snap closure. 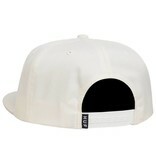 60/40 cotton poly.